The internet security topic has never been so controversial. The number of hacked accounts keeps increasing every year, while most of the new web protection techniques proved to be rather ineffective. 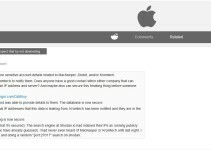 Website owners test different methods to protect their visitors and users. While most of those efforts bring poor results, Google found an innovative and efficient way to protect its users’ accounts. 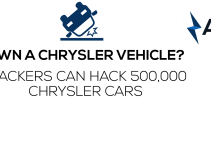 Any password can be either hacked or bypassed, no matter how strong it is. That’s the reason why thousands of accounts are stolen every year. One glance at the statistics is enough to render anyone shocked. Internet security cannot rely on the traditional username/password scheme anymore. The era of passwords is coming to an end, and Google knows it. Internet security significantly improved after Google introduced the “Two-Step Verification” (2FV). The original 2FV tracks your geographic location and the device you’re using. With 2FV, it’s not longer enough to know the password. Instead, you also need to be using an authorized device to access your account. Thus, even if your password was stolen, the hacker still cannot compromise your internet security, unless they have physical access to your PC as well. Although that feature brought Google users’ internet security to a new level, the authorization process was rather clumsy and slow. 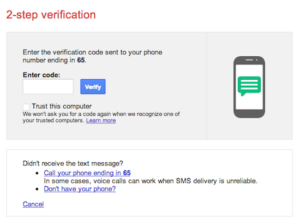 To authorize a new device, you needed to request Google to send you a verification code through SMS. Then, you were required to write down the code and copy it manually to your new device. It also needed a working phone connection and sometimes the SMS wasn’t free either. Those downsides were especially troublesome for those who travel a lot. The constantly changing IP address of their PCs forced them to request a new code every day. Simply put, you couldn’t access your Google account while on the road unless you paid for international roaming services. The 2FV was functional, but there was still room for improvement. Luckily for us, Google launched the enhanced, next-gen Two-Step Verification system. Google decided to create a mobile app that would allow users to perform the second verification step. The logic is simple: Wi-Fi can be found almost anywhere and 4G covers almost the whole territory of the planet. Thus, users now can access their Google accounts from anywhere, using any device, by just having their phones connected to the internet. 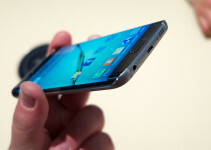 The mobile phone remains the main internet security center. Nevertheless, the new 2FV allows users to manage their Google accounts through a mobile app and require no SMS or codes. After installing the app, you get a real-time alert every time someone attempts to log in to your Google account. This makes you able to review it and allow or deny the access by tapping one single button. The app displays the location of the device, from which the log in is being attempted, as well as the device type, model, and OS. If you’re the one trying to log in to your Google account from a different location, then the app will show you the data of your device as well as your current location. 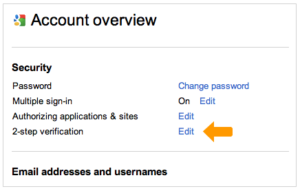 If the alert came while you weren’t trying to log in to your Google account, it means that someone just stole your password. In this case, you can contact Google staff immediately. Thanks to the two-step verification system, your account is rather safe even if your password has been stolen. Also, as you could notice, you get notified if there were any attempts to hack into your account. That’s something you don’t get with any other internet security system. Thus, all you need to do is report the case to Google and create a new password. Besides the New Two-Step Verification system, legacy verification options are still available as well. Nevertheless, the 2FV is the easiest and most reliable internet security option so far. It requires no codes, no pen drives, and no phone calls while providing the same level of internet security.